One of the nature’s most underrated fruits, the bananas are one of the most popular foods in the world because of their perfect portion size, natural protective wrap and cheap price. Eating two bananas a day can help you control your blood pressure, keep your bowels healthy, lose more weight and protect your eyesight. Bananas contain the natural sugars sucrose and fructose which give them their sweet flavor, but are also packed with vitamins, minerals and fiber which makes them a healthy addition to your lunch. In particular, bananas offer a decent amount of vitamin B6, vitamin C, manganese and potassium. The average banana contains 467 milligrams of potassium and only 1 milligram of sodium, which can protect against atherosclerosis. Besides the cardiovascular benefits, the potassium found in bananas helps promote bone health by decreasing the amount of calcium excreted through urine and preventing the bones from thinning out at a fast rate. But that’s not all that bananas have to offer to your health. Here’s a list of 6 more proven health-enhancing benefits of the tasty yellow fruit. 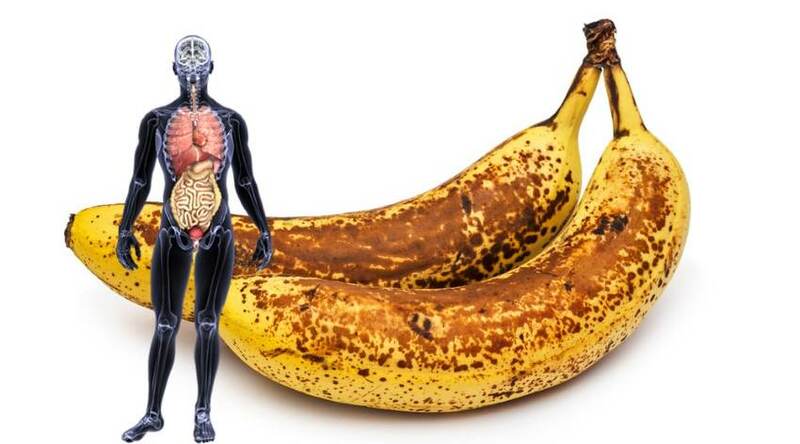 Bananas are high in iron, so they can help those with anaemia by stimulating the production of hemoglobin. Increasing the red blood cell count also contributes to increased circulation of blood to all parts of the body. 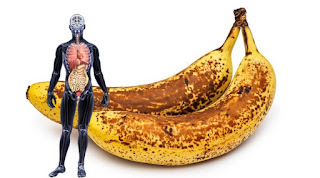 Bananas are maybe the only raw fruit that is able to reduce the acids of ulcers by coating the stomach lining and protecting it against irritation. Bananas also contain protease inhibitors, which eliminate the harmful bacteria that have been linked to the development of stomach ulcers.